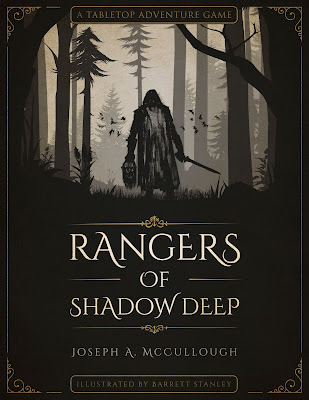 The Renaissance Troll: Rangers of Shadow Deep – Available Now! Question: where in the book does it say that Heroic Abilities and Spells are single-use only? It seems to imply it in the section about casting spells, but I cannot see where it is spelled out. Page 50, 'Using Heroic Abilities and Spells': "A figure may use each Heroic Ability that it possesses once per scenario." Then, under 'Casting Spells' on p.51, "Spells are subject to the Heroic Abilities rules given above...". Does this game include the +1 fight split stat for using a hand weapon and a dagger? Otherwise, I can't see why daggers have an obvious -1 damage. Excellent news! Snagged my pdf, but I hope a print version becomes available. 211 pages is a lot to photo-copy! I would definitely second the print version request. Much easier to navigate. I'm adding my voice to the call for a printed or print on demand version. I've got my pdf, and it looks spanking, but I'd be happy to pay again to get a physical copy of the rules. All the best with this project, and lets hope it takes off like Frostgrave. Does anyone have a ranger sheet pdf link? Prefer fillable, but anything would work. There is a PDF available in the FB group. I'll see if I can get one available here. You're awesome, thank you so much. The game is amazing, spent the entire day yesterday at a local game store playing it, and introducing others to it. Frostgrave,and Rangers, have renewed my interest in the hobby. I have plans to open my own store locally with these games being the primary focus of the store, so that I can share this exciting hobby with others. Many thanks. Glad to hear you like it! It's all about having fun after all! Please make the Ranger sheet PDFs available somewhere other than FB. I do not have, not ever will have a FB account and it would be great to have them handy somewhere that all can access. Thanks! I picked up the PDF at DriveThru yesterday and immediately started rummaging through my 15mm collection. I've got far too few fantasy miniatures it seems, but monsters and demons in abundance. I might switch the gnolls for some demons, giving the game a less fantasy and darker twist. 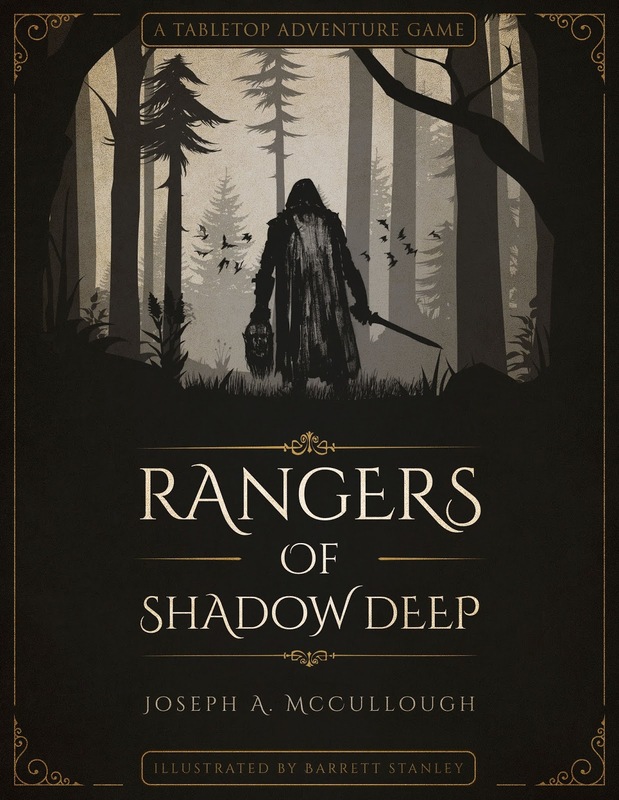 The rangers will most likely become a group of witch hunters. I really like to thank you for the solo co-op mode, these are things you rarely see in a miniature game and are usually associated with board games. It makes the game that more worthwhile with people who are new to the hobby or as a friendly game with the family. One thing I've been wondering about is whether we will ever see rules for simple firearms in your games (though it's not that difficult to make some up myself)? Question: Is there a reason why the terror wing isn't large? It also might be useful to provide a list on what the different creature abilities can do. Does the game use 15mm mini’s or are my various 28mm mini’s ok? It was designed with 28mm in mind, but there is no reason 15mm wouldn't work too! Just a thought, I’d buy this as a Roll20 or Fantasy Grounds module to play with my friends. Thank you for making this game. Do Rangers get XP for their Companions kills/clue token discoveries? Also if there are 2 Rangers (or more) does each Ranger get the Clue discovery XP?